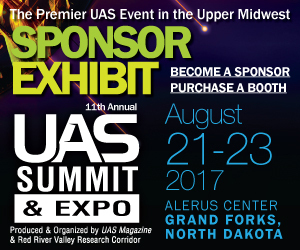 During a meeting with Air Force Chief of Staff Gen. David Goldfein, U.S. Sen. John Hoeven said he expects the FAA to next week approve beyond-visual-line-of-sight flights for the Northern Plains UAS Test Site in North Dakota. AirMap, an unmanned aircraft systems airspace management company, has announced Drone ID, a partnership with DigiCert that will enable, instant authentication of a UAV's identity via digital certificate. Kansas State's Polytechnic Campus and Westar Energy have been partners for two years in integrating UAS into the utility's operations. Westar Energy is using the technology in its day-to-day operations to lower costs and improve safety. The do-it-yourself skills of a U.S. Naval Research Laboratory team may help bring hydrogen-powered fuel cell technology to the Navy, with a little help from an unmanned aircraft vehicle. The U.S. Department of Agriculture is turning its eyes to the sky to find the next breeding breakthrough in U.S. wheat fields. The National Institute of Food and Agriculture has awarded a Kansas State research team $300,000 for drone-based research. UKRspecsystems has selected Robotic Skies to provide worldwide support services for its line of unmanned aircraft systems (UAS) products.